Figuring out how (or if) to reward Karlos Dansby for a Pro Bowl-caliber season will be a big decision for the Cardinals front office in the off-season. TEMPE, Ariz. – Despite an offseason overhaul of the secondary and the loss of both starting outside linebackers to season-ending injuries in Week 3, the Cardinals defense ranks sixth overall in the NFL with one week left in the regular season. 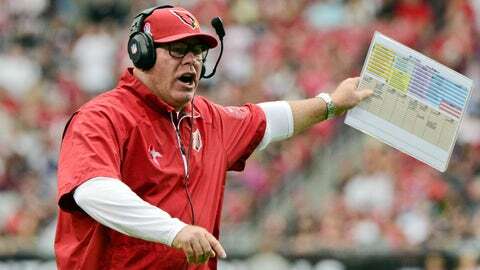 "Change is inevitable in the NFL now," coach Bruce Arians said. "There’s no way this team will be put back together, but we’re going to keep every component that we can. The Cardinals lost starting outside linebackers Sam Acho and Lorenzo Alexander on Sept. 23 against the New Orleans Saints, but John Abraham and Matt Shaughnessy stepped in to fill the void. When starting safety Rashad Johnson lost a fingertip, Tyrann Mathieu assumed the starting role and emerged as an NFL defensive rookie of the year candidate. When Mathieu went down, and Johnson did, too, veteran Antoine Cason and rookie Tony Jefferson stepped up. And along the defensive line, Keim, Arians and vice president of player personnel Jason Licht reshuffled the deck to add better depth in nose tackle Alameda Ta’amu and tackle Frostee Rucker. All have played major roles in this unit’s rise, but not everyone can return. The Cardinals will have seven unrestricted defensive free agents when the season officially ends. They’ll also have a big contract to mull along the defensive line and their coordinator figures to garner some interest from other clubs. Here’s a look at those defensive free agents, as well as the key offseason issues the team faces regarding this unit. 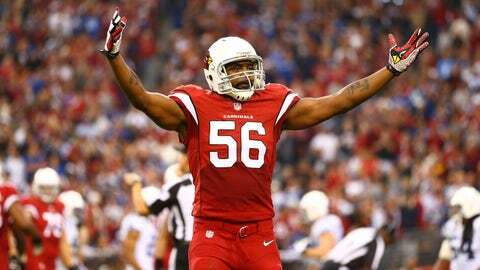 Inside linebacker Karlos Dansby: Dansby has played at a Pro Bowl level all season. He is third in the league in solo tackles (109), has four interceptions (including two pick-6s), a forced fumble, a fumble recovery and 6½ sacks. He thinks he’s the NFL’s defensive player of the year. The question is: Will he want to be paid as such? Defensive coordinator Todd Bowles: Remember all the talk about how much the Cardinals would miss Ray Horton? Well, not so much. Bowles has helped transform the Cardinals into an elite defense, and that sort of transformation normally makes NFL executives sit up and take notice. There could be as many as nine head coaching gigs available this offseason. Some wonder about Bowles’ interviewing ability, but he was the interim head coach at Miami in 2011, so he’s no stranger to the process. Beyond that, his players tout him as a communicator, and the results speak for themselves. "I’m sure he’ll get interviews," Arians said. "I’d be shocked if he doesn’t." Change is inevitable in the NFL now. There’s no way this team will be put back together, but we’re going to keep every component that we can. A franchise tag normally doesn’t sit well with a player, and this is one relationship the Cards probably want to maintain.